What if People Don’t Like Your Baby’s Name? Many soon-to-be-parents choose to keep their favourite baby names under wraps to avoid this dilemma. If you’ve chosen to spill the beans early, and had a negative reaction, you are probably upset. Or, even worse, if you’ve introduced your new bundle of joy, and been met with sour faces. What exactly should you do if people don’t like your baby’s name? Don’t take it personally – like all things, names are a matter of taste. You aren’t going to like the same ones as everyone else. Look at the person who has told you they dislike the name, do you like their shoes, musical tastes and choice of boyfriends? Probably not, and that’s fine. We’re all different. You will never find a name that everyone loves, and the most important thing here is that you love it. Ask them to keep their opinions to themselves – politely explain that you do like the name, and that’s why you’ve chosen it. It is a strange custom that people voice their disapproval of names choices. When meeting a new adult for the first time, we don’t exclaim, “John? What a terrible name. I don’t like that. It reminds me of that horrible John off the tele.” So why is it ok to do so with a baby? You are well within your rights to politely ask people to keep their opinions to themselves. Has it changed things? – have their words made you see the name in a new light? It’s possible that the negative opinion of a loved one, could cause you to fall out of love with the name. Perhaps they reminded you of another person of the same name, or another meaning of the name, that you hadn’t previously thought of. It’s ok to change your mind. Don’t feel bullied into it, and don’t change your mind if you still love the name. If you are starting to question it, however, you can always keep looking for new names. Ignore them – if you still love the name, and your partner still loves the name, then ignore everybody else’s opinion. 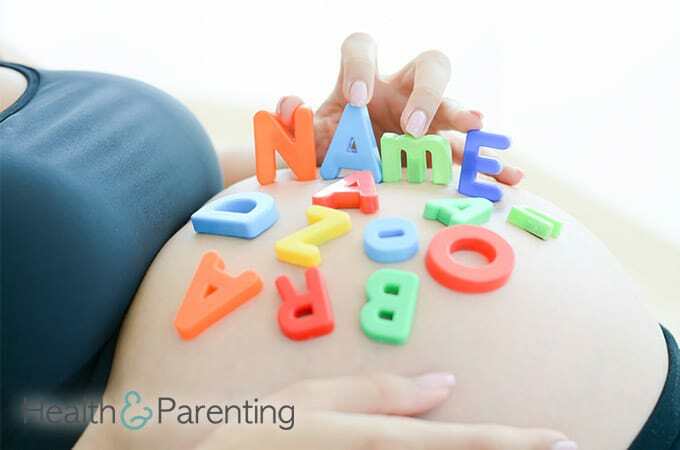 The name is one of your first parenting decisions, don’t be bullied into choosing one you don’t like. You should give your child the name you feel they deserve. Your favourite name, not anybody else’s. Once the baby’s born, you will have unwanted advice flying at you from all directions. Set the scene now by showing everyone you know your own mind. Ask a few other people – if one person has knocked back your name idea, try getting more opinions. If you don’t feel comfortable asking friends and family, you could ask anonymously online. It can be hurtful when someone tells you they don’t like the name you’ve chosen, especially if it’s one you’ve loved for a while. By seeking out new opinions, you could find validation that it is the perfect name after all. Written by Fiona (@Fiona_Peacock), mother, writer and lover of all things baby related.